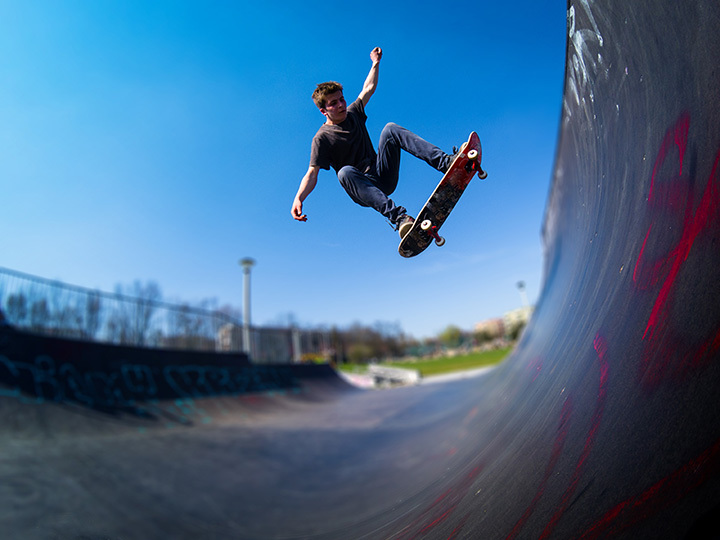 The 8 Best Skate Parks in Rhode Island! Rhode Island is home to skate parks you may not have known about. Some allow you to rip it up at the top of the hill, others close to the beach, and the state even boasts a few great indoor parks to practice your skills during the winter months. If you’re looking for somewhere to practice new moves or perfect some old ones, look no further than a Rhode Island skate park. From the middle of Providence you can find a refuge of nature and fun. On Wednesdays during the summer, end a day of skating at the farmers market which takes place from 3 to 6 p.m. If you get tired of skating, head out to a trail and hike up the hill. At this cement park in Warwick, you’ll find a mini pipe, along with several boxes, rails, jumps and ledges. It’s a good place to learn a few new things, but may not be the best for those into line. This is a simple concrete skate park that offers plenty of space to perfect old tricks and try out some new ones. The park overlooks a slightly woodsy area and a residential neighborhood. The YMCA offers a great variety of recreational activities, not just skating! You can exhaust yourself for hours skating these ramps. These ramps are older and might remind a skater of more nostalgic times when the park was built nearly 15 years ago. It’s located in one of the nicest towns in Rhode Island, too. This concrete park is a good place to skate right near the beaches. The park is home to a mini-pipe, a few rails, and several quarter pipes. This concrete park boasts one of the coolest spine layouts you’ll find in Rhode Island. The park has a few nice boxes, rails, and a decent halfpipe. Located in Westerly, Rhode Island, you’ll find a new long wall quarter sporting a bowled corner. Skaters love this park’s volcano, too. Be warned—bikers often are told to stay off of this park. View more Rhode Island Skateparks.